Gray is the calm and sophistication I dream were the elemental qualities of my life. I’m more vibrant yellow, acid green, and magnetic magenta, chaotically swirling around a la Jackson Pollack painting. A beautiful mess, perhaps, but entirely unsustainable without a counterpoint to the madness. Intent on creating a tranquil space – that sensation that comes when you dip your toe into a warm pool, sink in up to your eyeballs and submerge your head, feel the buoyancy and freedom, serene and quiet, even if peals of laughter ring through the air, or one hears the demands of the world hollering just above the surface. The wish…when that door clicks shut is to be enveloped in serenity. Just on the other side, it’s all East Coast pace, get it done, faster, better, more often, the endless, the insatiable, the grind, but not in there, not in my nest. Gray is my version of autonomous sensory meridian response – whispering you into a state of total relaxation. Pale gray, what a beautifully hypnotic color. So when I moved into 2 Harvard Place – I moved in without any of my belongings, no loud statements, no noisy distractions, nary a red sofa or an oriental in sight – sentimentality cast aside with cold disregard to the cursory familial bonds. I turned a cold eye to the frenetic in favor of a deep cleansing breath. The color palette didn’t just arrive to me in a dream. I knew I wanted the walls to be gray, but it was necessary in the end to sample as many as ten varieties. I visited my local hardware store, buying quart after quart until I got it just right. It’s an expense, and one should never limit themselves to the few sample sized colors that the manufacturer determines to be popular. That won’t do. I am also not a big fan of tip toeing around the sampling process. Paint the wall. It’s going to be painted in the end anyway, cast aside your cardboard pages and foam core boards and splash the color across the intended surface. Make sure it’s a large area, my recommendation is 2’x 2’. Best to do it on a weekend, and observe it for a full 24 hours. Paint changes with the time of day, the quality of the light, and your mood. In the end you want to make sure you love it in all its iterations. I chose Mineral Ice for its super subtle quality, the slightest hint of tint. 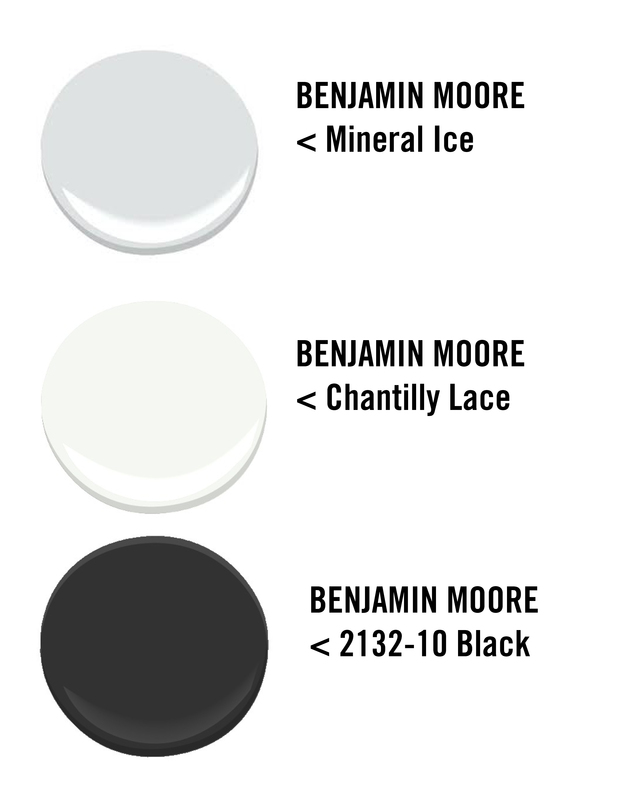 All the woodwork was painted in Benjamin Moore’s Chantilly Lace – a very clean, bright, white, done in high gloss. 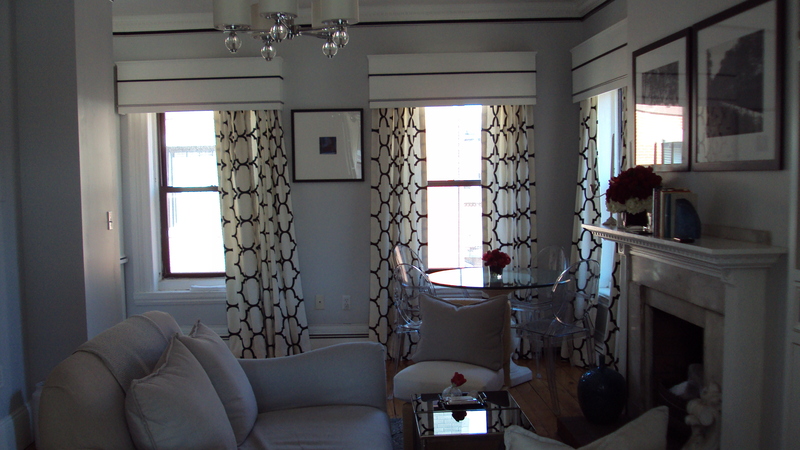 The black accent stripe that surrounds the perimeter of the apartment is in flat paint, and the half round molding that sits just below it is done in Bear Paint’s Silver Metallic. To my eye, a small space with contiguous rooms works best when painted in a singular pallet. Remember that none of the molding existed when I arrived. I wanted a jewel box, which one simply cannot have without jewels. 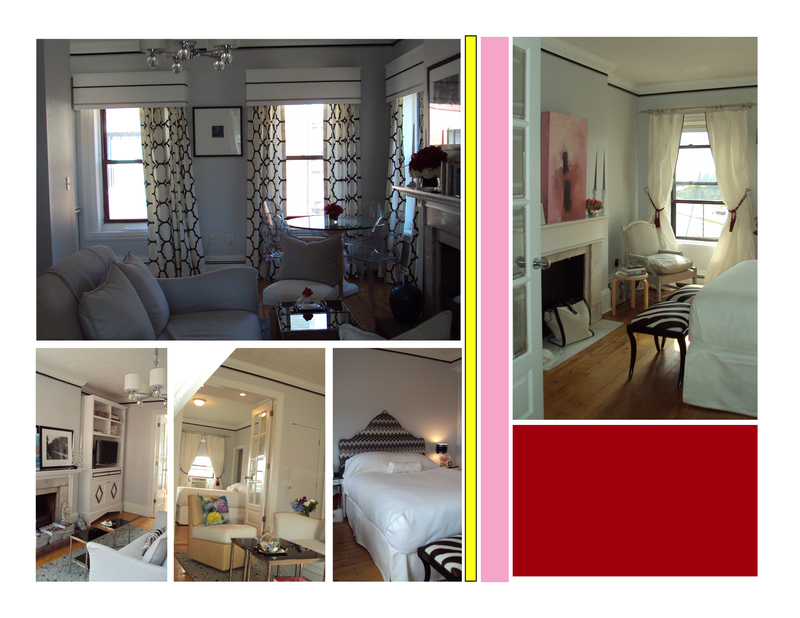 The moldings, combined with the paint selections provided the necessary adornment to achieve my heart’s desire. Joyieux Samedi . I am off to see what jewels nyc has to offer.